Do you think of yourself as an athlete? Did you used to be a runner, football player, or play basketball, soccer or volleyball? Do you want to go back to that lifestyle, but think your playing days are over? Or, are you interested in picking up a sport or exercising more? If so, chin up! It is often possible for many dialysis patients to be active, even athletic! First things first, you need to talk with your nephrologist and any other physician you see on a regular basis to make sure you are medically stable and it is safe for you to train. The second most important person to get on your bandwagon, is the dietitian in your dialysis unit. Having your own dietitian can help fuel your activity! Discuss your plans for increasing activity and ask for their help. Carbohydrates give us energy to move our muscles. It doesn’t matter how hard you try to work-out, if you don’t have enough carbohydrates you won’t have endurance or speed. 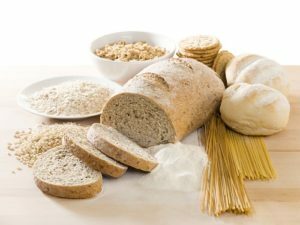 A small amount of carbs may be stored in the muscle and liver, but for the most part, it is important to eat carbs before exercising to ensure adequate energy to perform at your best. Fast Acting: These foods are digested easily and give a quick burst of energy, but are used up very fast, so they are not good for longer endurance sports. Examples include: sugary candy (without nuts or cream), jelly, dried fruit, fruit juice and sports drinks. Athletes need slightly more protein than non-athletes, but dialysis patients need more protein than the average person. Your dietitian can help you determine how to increase your protein intake to meet any increased needs due to sports. Healthy fat can provide energy and prevent weight loss, especially when you are burning a large number of calories. As you know there are healthy fats and fats, not so healthy. Go for the healthy ones! So, you have the basics, now what? The following are a few recommendations for all athletes, regardless if on dialysis, or not. Timing of Meals/Quantity: It is important to keep blood sugars even throughout the day, but especially during practice and/or competition. The best way to ensure this occurs is to eat multiple small meals all day long. 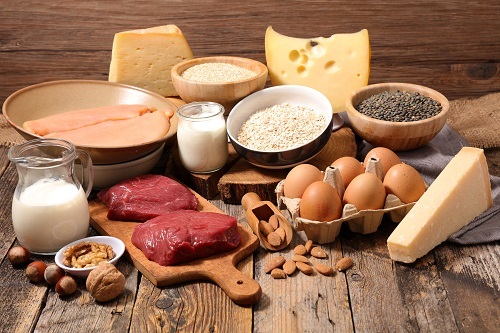 Quality of Food: Variety of foods is important for athletes. Foods high in vitamins/minerals, low in added-sugar and low in unhealthy fat are necessary to improve performance and recovery. Eating fast food and/or junk food is going to work against you. Fiber: Fiber helps keep the sugar you eat from causing your blood sugars to swing high/low. Best way to increase fiber intake is to eat healthy carbs (whole grains, fruit, vegetables, etc.) DO NOT CHANGE THE AMOUNT OF FIBER YOU EAT QUICKLY. I promise, you will regret it. Change it slowly over time. There are a lot of people willing to help you be an athlete on dialysis. Work with your physician and dietitian when making changes to your diet and let them know how they can help you! 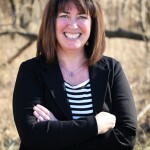 Shelley has been a registered dietitian for many years with over 15 years in renal (Acute, CKD 3-5, Dialysis, Transplant). She is an adjunct professor at Park University and teaches Human Nutrition and Nutrition for Health Sciences for undergraduates. She loves helping people connect what they eat with how they feel. Shelley has a husband and two daughters that keep her running. Hi Shelley, thanks for the article. I’m looking for a renal sports dietitian. I’m a triathlete turned competitive swimmer at 51yrs young. My insurance will cover the counseling expense. I was kicked by my horse at 19yrs old and had spleen and kidney removed. My urine filtration tests show level 3 on the CKD scale, I’m healthy and want to take the best care of the kidney I have left. Flirting with becoming a vegetarian to help support my kidney better but also be a competitive athlete.